Music Minute: Meet Me on the Dark Side of the Moon (1973) | The Eye of Faith Vintage 11.11.11. Do not adjust your sound, it will take a few seconds before you fall into our twilight. Welcome to the Dark Side of the Moon. Maybe somewhat lonely, but the weather’s always pretty …okay. Sure it’s been a few decades since the release of Pink Floyd’s 1973 revolutionary album Dark Side of the Moon, but we wanted to take a moment and reintroduce this amazing introductory track. Okay, so it’s the first two tracks, but the point remains, this is an epic rise to an experience only music can give you. Literally comprised with ‘experiments’ from previous live performances, plus Roger Waters had created effects loops from recordings of various money-related objects, including coins thrown into a food-mixing bowl taken from his wife’s pottery studio, nothing else from the time sounded like this. The album had themes of conflict, greed, the passage of time and mental illness, a condition the band was all to familiar with watching the deteriorating mind of founding member Syd Barrett. Oh heck, we may as well toss in the closing track, Eclipse, too. 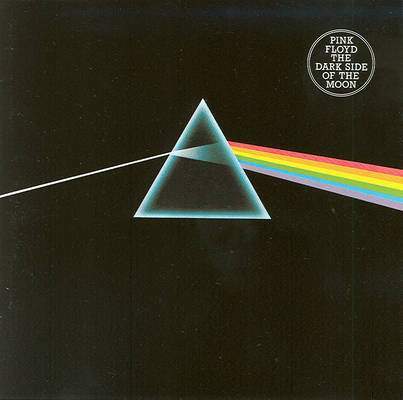 Dark Side of the Moon remained in the charts for 741 weeks from 1973 to 1988, longer than any other album in history. With an estimated 50 million copies sold, it is Pink Floyd’s most commercially successful album and one of the best-selling albums of all time! If you haven’t listened to this album beginning to end, we highly suggest you give it a whirl, there’s a reason why Pink Floyd is your fathers favourite band.